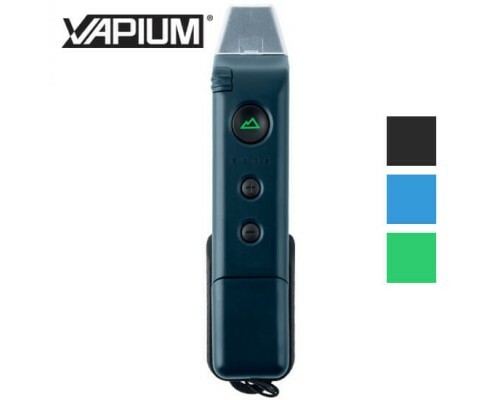 If you are someone who likes to get outdoors and go hiking, snowboarding, or any other outdoor activity where you might worry about damaging your vaporizer, the Vapium Summit Plus is for you. This durable vape is designed to withstand extreme conditions and is resistant to the elements, and so much more. 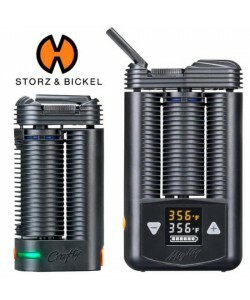 It is well-suited for extreme temperatures and is made to take off-roading, camping, skiing, or hiking - really any outdoor activity that might make you wary of bringing a vape along. This rugged portable device is dust and splash proof, making it great for doing all of the aforementioned activities. It can also withstand temperatures ranging from 0 to 176 degrees Fahrenheit, meaning there is virtually nowhere that you cannot take this unit. If you enjoy having ultimate control over your vaporizer, the Vapium Summit Plus is going to be your new best friend. Its powerful battery gives you a choice between 8 different temperature settings that range between 330 to 440 degrees Fahrenheit. You can switch between these temperatures at your discretion using either the buttons on the unit or through the useful smartphone app. With the Vapium Summit Plus for dry herb, you can vape the way you desire and ensure exceptional vapor quality. The model has a very low draw resistance and can be used equally well with short and long draws. Any temperature options you can change with just the push of a button. The vape is even smart enough to remember your last temperature setting for maximum convenience. A 90-second automatic stand-by mode timer helps conserve battery power, so your herbal vaporizer can be enjoyed for as long as possible. The smartphone app that the Vapium Summit Plus comes with a BlueTooth connection. With the free app, you can control the temperature settings or other features. The device has an ergonomic design that just feels right. With its rubber bottom, large, easily accessible buttons, and its superior center of gravity, it feels great in the hand and is convenient to use on the go. It also sends vibration alerts to let you know when it has reached the desired temperature for a stealthier way to vape on the go. 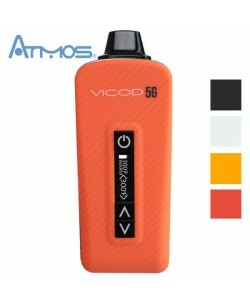 The vape comes with a lithium ion battery that has been boosted from its original model. This battery boasts an impressive rating of 3300 mAh which gives you more power. It also allows for pass-through technology for use while it is plugged into the charging port. Warrantied for one year, the Vapium Summit Plus is constructed out of ultra durable polycarbonate. To provide premium vapor quality, the vapor path is made only out of food and medical grade materials. 4.5" x 1.1" x 1.4"
Very durable - Review by Dong L.
I love the Summit Plus Vaporizer. It is really easy to clean and easy to use. It is durable and I found that there was pretty much no learning curve. I'd recommend it to anyone who wants something easy to take on the go. Easy to charge and use - Review by Sheilah W.
This is the first portable vape I have ever owned and I love it. I spent a lot of time researching it before making my purchase since they aren't really cheap. I've had it for a month, but it is my only way to consume my material anymore. It is easy to charge, easy to use, has a solid feel and a comfortable draw. I recommend it to anyone. Really unique solid vape - Review by Lloyd C.
This Summit Plus Vaporizer is terrific. This is what I wanted in a vape and I definitely got it. I recommend that you always have a USB charger with you, though, because it does die pretty fast. It has a solar charger, too, which is really unique. Overall, a really well made and solid vape. I like it - Review by Keith M.
The Summit Plus is great for the price. I like that I can get around 15 to 20 draws at a time from this vaporizer. Great vibrating feature - Review by John B. For the price, the Summit Plus Vaporizer is definitely one of my favorite vaporizers. I wasn't grinding my material finely enough at first but once I realized my error it hits like a champ. It is important that you grind the material up well and pack it pretty tightly. I prefer it on the orange setting and have managed to get six different sessions on one charge. But if I run it on the highest setting, it seems to lose its charge a lot more quickly. I like the vibrating feature because I always know when it is ready without having to watch the light indicator. I would recommend it to anyone. Vapor is incredible - Review by Darin A. It is my first vape and I am very happy with my decision to get this one. The pure vapor is incredible and I feel like I don't ever want to use anything else again. I say that it is good for anyone with any vaping experience from a beginner, like me, to someone more advanced. Solar charge is perfect - Review by Edward E.
The Summit Plus Vaporizer has a really great draw and the different temperature settings are really impressive. I am always outside so the solar charge is really perfect. Great vapor and flavor - Review by Thomas K.
I have had the Summit Plus Vaporizer for around six months and it is a really nice vape. I love the vapor and the flavor. It hits really hard and has quickly become my favorite vaporizer. The price is excellent for what it can do as well. Portable and simple - Review by Melissa W.
I have had the Summit Plus Vaporizer for around five months. I have a few other vaporizers, too, but I will admit that I have not used them since getting this one. The Summit Plus is so portable and I am able to take it with me anywhere. I can get around 20 draws out of a full oven but I do need to clean it around every two days. I had about 6 other portable vaporizers that I was going back and forth between when I got the Summit Plus, because none of them were 100% perfect. Now, I just use the Summit. The Pax and Firefly vaporizers are more expensive and both have problems. The Pax gets scratched, and I worry about breaking it, so I don't like to share it. The Firefly is way too heavy to take out on the go. The Summit looks a lot more basic than those other two, but it's a better fit for daily use out of the house. I can shove it in my purse and not have to worry about it breaking. It hasn't scratched at all. Settings 4 to 8 give me nice big clouds, and the lower settings make your herbs taste incredible. Honestly, the first 3 settings are kind of useless. You hardly get any vapor at all so I just ignore them. When the Summit is ready, it vibrates so you don't space out and forget. You can pack it up before you leave the house, so it's ready when you're ready, but make sure you empty it right away when you're done so it's easy to clean. I have small hands, and I find it easier to hold than the Firefly. One small problem is that the auto shutoff feature activates after 60 seconds. I tap the button every 30 seconds or so to keep it on. Otherwise, it's super straight forward to use. I did lose my USB cap because it's so tiny. I don't know why they have it, because it works fine without it. BETTER THAN THE PAX - Review by Joann S.
So I had a Pax for a long time, but decided to buy the Vapium Summit Plus when it was released. It's become my favorite vaporizer. You don't have to clean the Summit every couple of uses, and it's more solidly built so I'm not constantly worried about dropping it. Yeah, the Pax looks nicer, but the Summit is more rugged. I use the highest settings for my sessions, starting in the middle and then cranking up the heat little by little. I really love how it vibrates when it’s ready to use, and having the lid attached, so you can just turn it upside down to empty it is genius. The Summit is less expensive than the Firefly and it is way lighter. It's designed as sleekly as the Pax, but it's cheaper too. You don't have to mess around learning how to use it. You can open the box and get to it. This portable produces vapor as well as a desktop. I would highly recommend it to anyone. 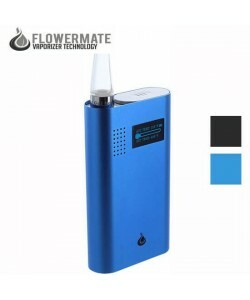 This vaporizer is ok in size, easy to set, and carry around in a pocket. I like to go hiking and vape while I'm doing, so for those like me, Vapium Summit Weekender Kit would be a much better choice, for extra $40 you get a very nice Solar Charger. Just put the solar charger on the outside of your bag and connect Summit Vape to it, so no matter what you will always have battery full charged and even be able to vape while the device is charging. For the price you get a very nice set of options on this unit, all you need comes with it. Giving it 4 out 5 because it comes with only one mouthpiece, which makes this a very "selfish" vaporizer!